The PDF Preview program included with Mac OS X does indeed have quite a variety of different capabilities and features that make it a lot more useful than just to view PDF documents. There are a lot of review and annotation tools and, yes, there’s the ability to have a digital version of your signature, which makes it much easier to “sign” documents sent by other parties in digital format without having to print, sign, scan. 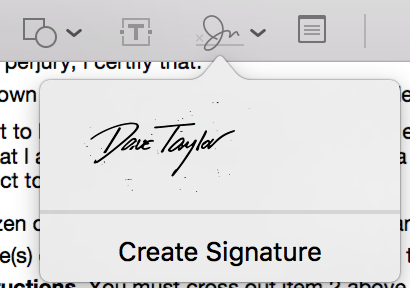 Scanning in and saving a really good example of your signature can be more than a bit tricky, however, as I’ll demonstrate. 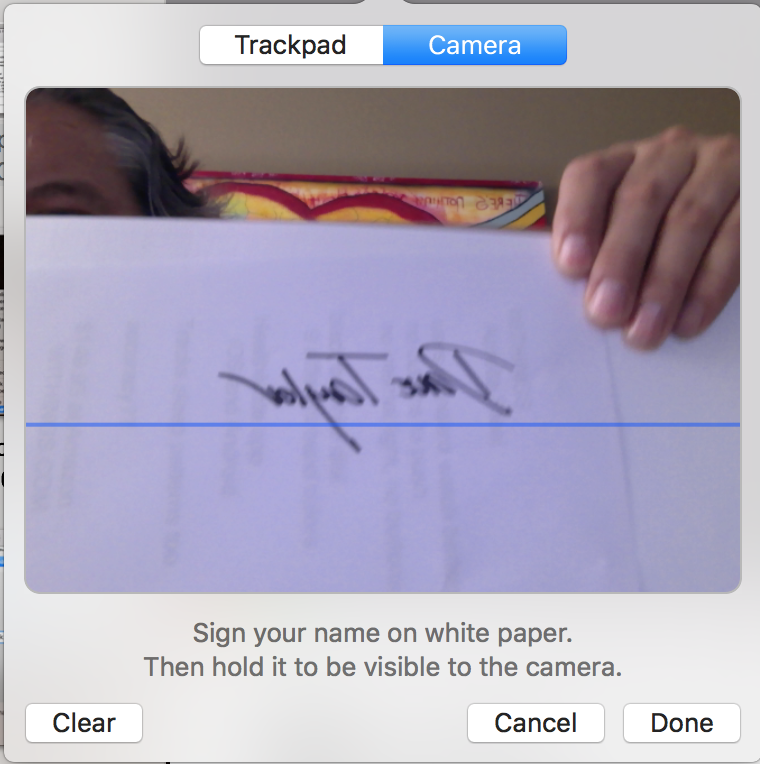 There are basically two ways you can enter the signature too: either use your finger to sign on your trackpad, or sign on a blank piece of white paper and use the webcam to scan it in. Really. As you can see, it has a space where you’re supposed to sign. A perfect use for the signature capability of Preview! 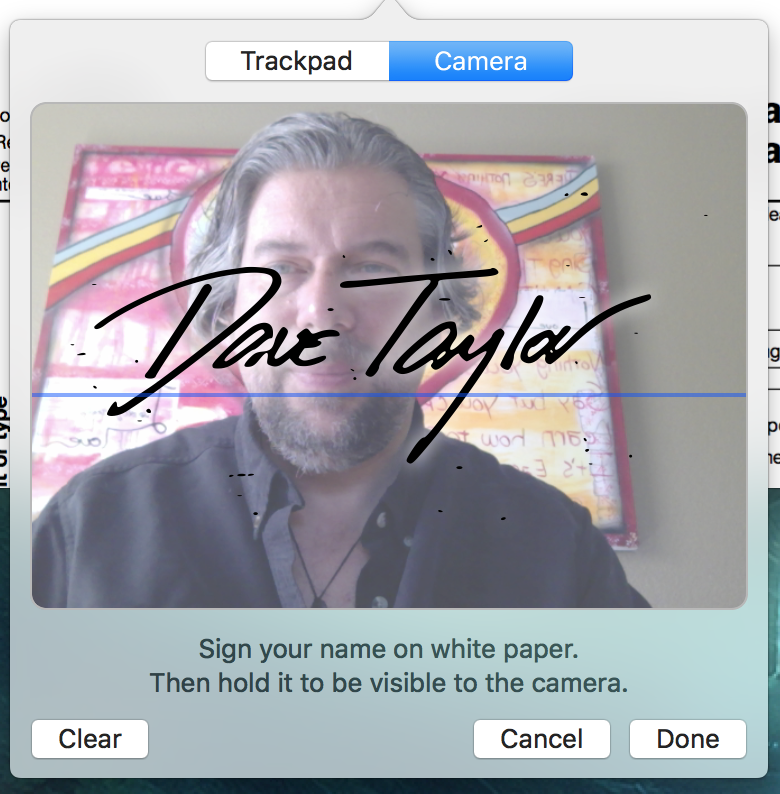 Instead, a click on “Camera” and we can try using the built-in Webcam on the Mac to create a signature! You will need to grab a piece of blank paper and write your signature big and bold. I suggest a black felt marker if you have one to create a high contrast sample. 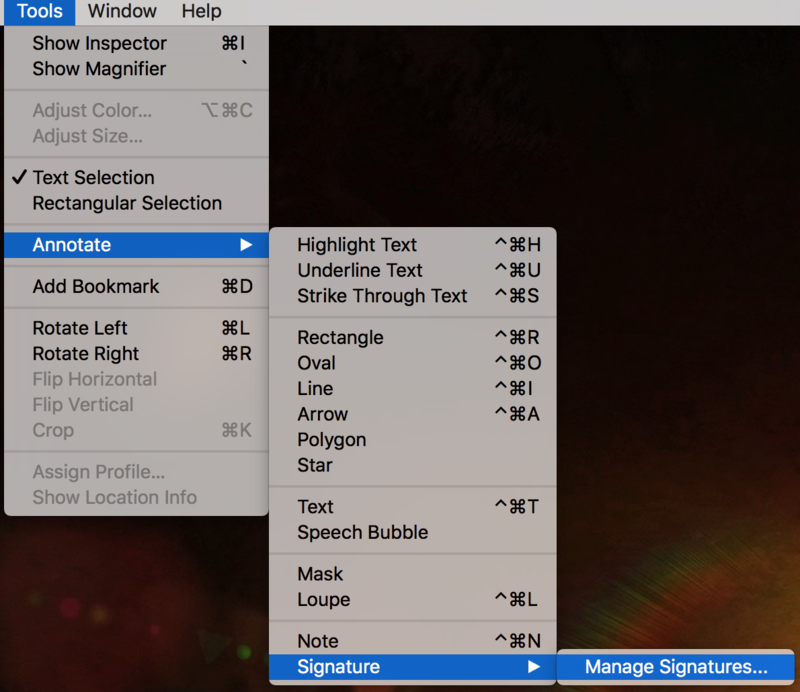 At this point you can resize it (grab a corner and drag) and move it around (click on the center of the signature and drag it to where you need while holding down the mouse). That’s it. Easy, and darn useful!